2. Stickers will get you a lot- I have a stash of about a thousand sitting in my desk. Need your room cleaned during recess? BRIBE THEM WITH STICKERS! 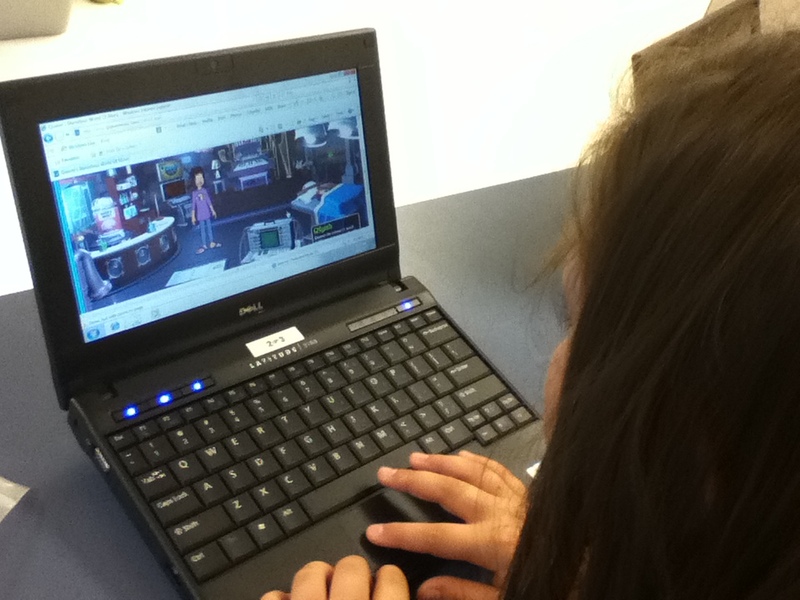 Need materials made for a new class activity and the rest of the class is watching a video? BRIBE THEM WITH STICKERS! Stickers are like the children’s new fashion accessory the more bright and colorful stickers they can stick on themselves, the cooler they look. 3. Giving your students sugar is a bad idea- Lethal in large doses, sugar can cause children to gain super powers. Able to leap a hopscotch grid in a single bound, faster than a speeding hot wheels.. sugar is a powerful weapon. 4. Food in the teachers room will magically vanish in seconds- One time, I brought in a tray of fresh baked cinnamon rolls..went to the restroom..came back out and my rolls had magically vanished! It’s magical food trickery I tell you!! 5.Marching around the playground playing bagpipes will get you a lot of attention- You’ll also be labeled as a crazed maniac who wears a kilt whenever the time seems awkward enough. Any non sensical activity that can seem crazy, awkward, or just down right funny will get you a lot of attention. Some good, some bad, but if you’re a person who practices the phrase “I don’t care what other people think” your non sensical activities turn into a darn good time. 6.If you don’t leave your room, cabin fever sets in- Talking to yourself, wanting to run down the hall yelling, dancing at random times of the day? YOU’VE GOT THE FEVER! Not to worry though this fever is solved with a little social interaction! But of course, a little craziness never hurt. Putting on a fruit hat and doing the cha cha while singing cabin fever is never a bad site to see! Make sure all video cameras are destroyed first..
7.If they ask to go to the bathroom every 20 minutes- They either are not admitting to an issue that they should see the nurse for..OORRR you’ve got a skipper! What they don’t realize though is that the test they just skipped out on will be waiting for them when they get back and the rest of their class is at recess. Hehehe. 8.DON’T GET DOWN LOW- So a song is playing, you are dancing right along with your students having fun and getting their craziness out. All of a sudden the music tells you to get down low on the floor. You do so and..CRACK! something in that body of yours makes a noise and you can’t move. Your kids laugh at first as you lay helpless like a turtle on the floor but then all rush to your side as you laugh in pain unable to roll over and slide yourself into your chair until they give you breathing room. It doesn’t matter how old or how young, you can’t bend like a 4th grader anymore! From personal experience, to avoid the turtle pose and ice packs in places you don’t want later STAY STANDING. 9.Trying to use the teachers room bathroom- I wish you good luck…Sometimes the only adult bathroom around in a lot of buildings this sacred bathroom is one to be revered if gained access to. Usually busy most of the day with constant traffic this bathroom filled with magazines, fresh and good smelling scents, and uniquely scented soaps can be a highlight of any teachers day. C’mon on, there is only so much use of the tiny toilets or bathroom stalls you can take! If You Had a Chance to Change Their Fate, Would You? 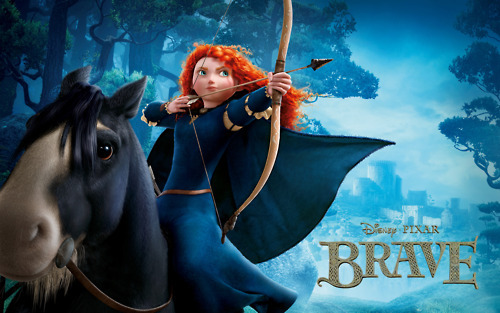 I just saw another epic adventure brought to you by the inspiring minds of Pixar. Reminds me of what keeps me inspired, that no matter who you are, where you come from, or what you’ve done..you have the chance to change your fate and bring freedom and joy into the life you lead. Our freedom, pride, destiny. The characteristics that make us who we are, can they be changed? We are born into a certain story with certain expectations and a plot all ready to follow. What happens when we rip that page of the book out? Can we change that plot into our own story? Have you ever watched a class of students slink into your room, you know their stories..you have expectations on their fates but their story isn’t set in stone. The pages of their book that are already written can be ripped apart and bound into a whole different adventure. Remember, to never judge a student’s destiny by their cover. Even though we may not be the cutest or even blue in color, teachers are the wisps of the real world forest, we can show them the way to their new story, a story bound by their own bravery to venture out and climb the cliffs drinking from courage built inside of themselves. So when you venture out into the woods, judging the travelers by where they come from or how they look (even if their appearance mirrors those of creatures you’d rather not meet in a dark forest). Help them to rewrite their story in their own way. 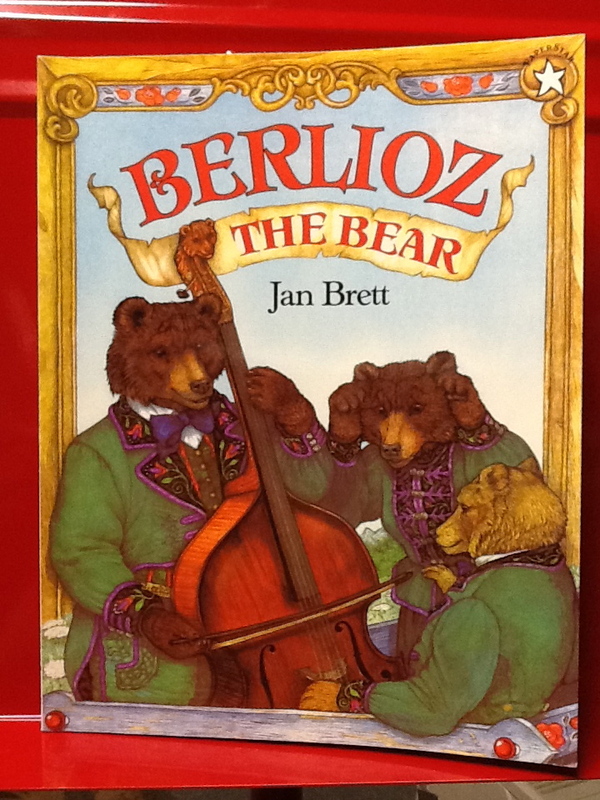 Change their fate..
Berlioz the Bear by Jan Brett tells the story of poor Berlioz the Bear whose string bass has a mysterious buzzing sound. His orchestra is on its way to the village square to a concert and gets stuck. After a large group of animals tries to pull their wagon out Berlioz finds out the reason his bass has been buzzing…A BEE! The bee stings the donkey pulling the cart of musicians and runs down to the square getting the musicians there on time. I tend to read this book as my younger grades start to learn about the orchestra. We talk about why an orchestra warms up, concert etiquette, and the different instruments shown in the book. 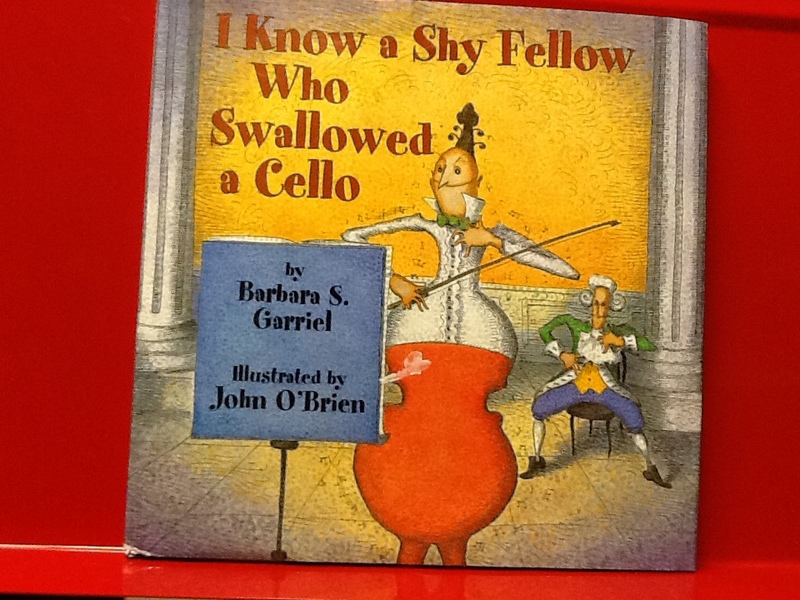 I Know a Shy Fellow Who Swallowed a Cello by Barbara S. Garriel is a play on the series of books entitled I Know an Old Lady Who Swallowed a… The shy fellow in this story shows off his enormous appetite for instruments swallowing everything he can get his hands on. After he swallows as much as he can the instruments explode back out and into the hands of their owners again. This is a great book for younger students who are just getting use to instrument names. After he swallows each instrument we’ll talk about it and after they explode out of his mouth I will ask questions about the instrument to see how much they have retained! 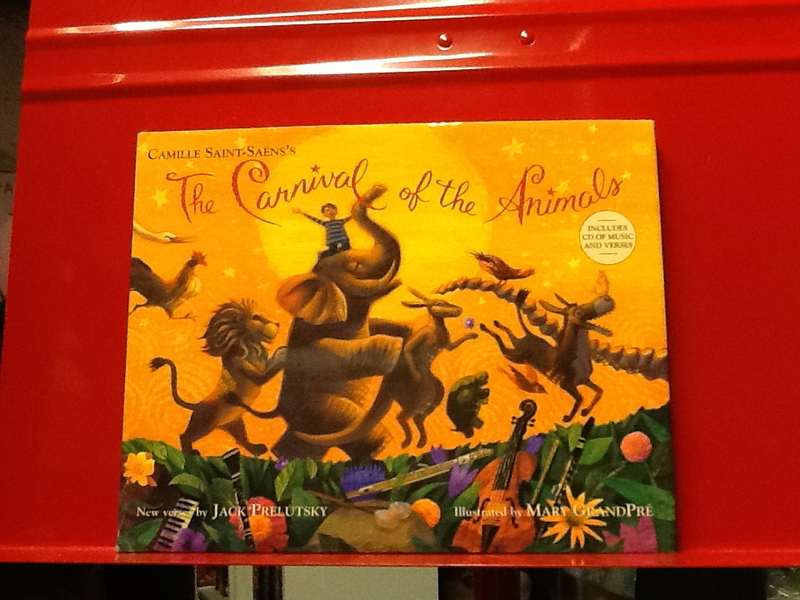 Carnival of the Animals by Jack Prelutsky is a series of poems dedicated to the song Carnival of the Animals by Camille Saint-Saens. Each section of the book is about the animals in the song giving a short poem about each one. The greatest part about this book is there is a CD that goes along with it. It narrates each poem by Jack Prelutsky himself and plays each portion of the song. The last track on the CD is the whole song. I will post pictures from the animals all around the room and play the track. The students must listen to each portion of the song and stand by the corresponding animal. I stop after each portion of the track to say which animal it was so students know if they were correct or incorrect. Pete the Cat by Eric Litwin is a series of 3 books. Pete the Cat I love my White Shoes, Pete the Cat Rockin’ in My School Shoes, and Pete the Cat and His Four Groovy Buttons. 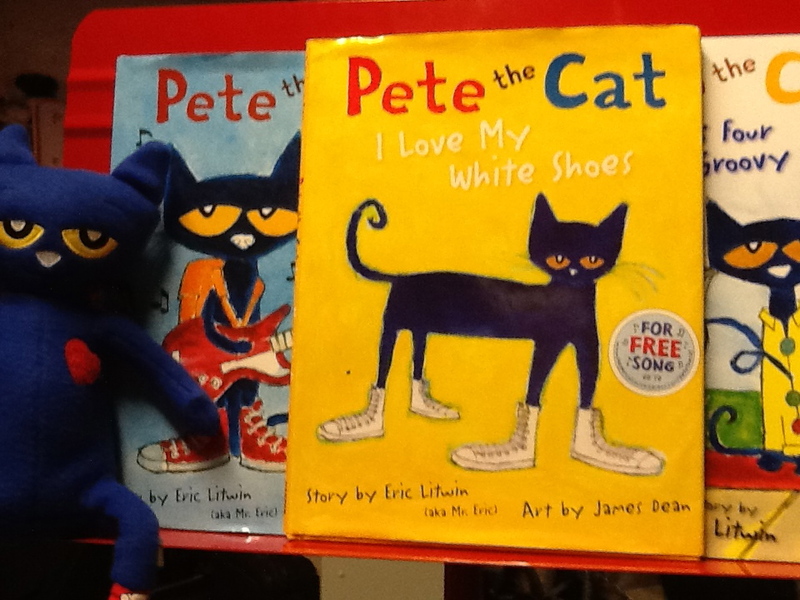 Each book tells the story of Pete the Cat and his love for his clothes. Each book also has it’s own song that will get stuck in your head..I love my white shoes..I love my white shoes..OH NO! IT’S STUCK IN MY HEAD! With each book have your students sing along, don’t worry they will know the words after the first page. To go further with the song notate it and have your students play along with it. With the first book I love My White Shoes I have my kindergartners color a shoe and we put it into a book and sing along to the book before I pass the book off to the teachers as a gift. It’s a fun activity for all! Freddie the Frog by Sharon Burch is a fantastic series I recently found this year. Each book tells of an adventure Freddie and his pal Eli go on around their home of Treble Clef Island. Each adventure secretly teaches the students a musical concept and tests them at the end. The students are surprised at first not knowing they learned anything at all until rethinking the book and that little lightbulb suddenly turns on. These books are interactive in themselves providing activities and songs for students to take part in. 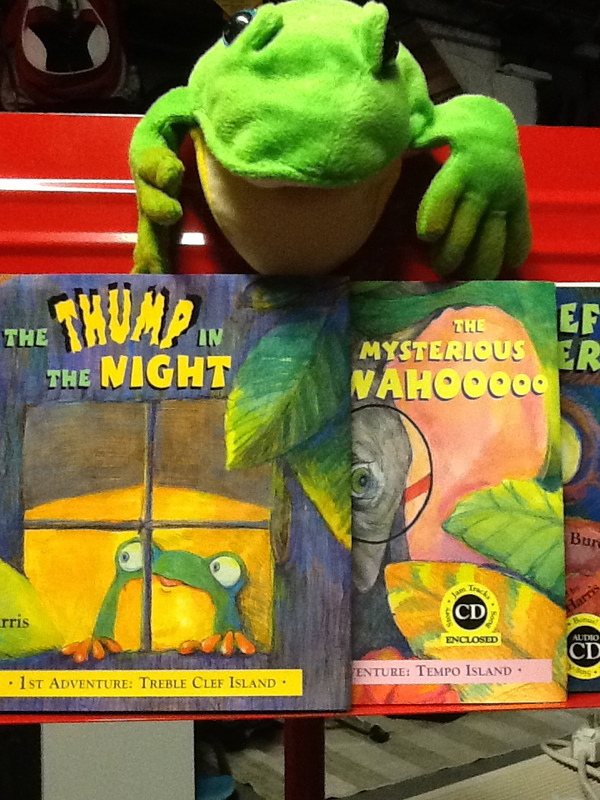 Make sure you have the Freddie the Frog puppet to read along with the CDs. Students are completely engaged watching you talk with it. Check out Amazon.com to get all of these books for your collection! High to low, low to high, up and down it’s worth a try! Did you know, without pitch melodies would be quite boring? Follow the steps below to discover the meaning of the musical word ‘pitch’! Clown pitch game – Head to the lab and click on the organ. You will travel to the ear carnival! Practice listening for high and low pitch on the first game. All you have to do is read the directions and poke the right clown on the seesaw. Bell game– There is a hidden bell game in the shop! How exciting! Find the game and play it. Read the directions carefully, it’s not about size it’s about sound! Qcomposer– Now here is the test. Head to the studio and click on the piano. Write me a 3 measure melody on the top line. Remember our melody writing rules and only use quarter and eighth notes! Laaaa laaa laaa. I feel like singing today! But what shall I sing? Can you help me? Make your way through Quavermusic.com to find me the perfect melody! Hurry up though I can’t hold out singing much longer! Play melody on piano on front of building– B A G A, B B B, A A A, B B B, B A G A, B B B, A A B A G..what is that mysterious melody? Play it on the piano on the front of the shop and write your guess on the board! Ear carnival intervals– Head to the lab and click on the organ. You will travel to the Quaver ear carnival! Play the game in the middle. Listen to each note and try to figure out how many spaces apart they sound. Click on the right cup before time runs out! Qcomposer– Here’s your chance to get creative! 5 measures, access to all of the notes, remember our melody writing rules and write me the best melody you can! QMeasureup– Head to the music room and click on the arcade center. Play a game of Qmeasure up! It’s like tetris but instead of fitting in pieces you are fitting notes into each measure. 4 beats per measure only! Qstrum– Boogie to the studio and click on the guitar. 10 measures maximum for this rockin’ tune. Click on a chord and then fill in a measure using the notes under “durations” by dragging and dropping. Remember to only use 4 beats per measure! Change chords every measure to add some rock and roll flavor to your song. Astronotes– Go back to the arcade in the music room and play a game of Astronotes! Here’s the catch though, before you shoot it, you need to say the name of each note! Tee Tee Tah Tee Tee Tah, There’s a mysterious beat coming from the closet! Help!! I think it’s the beat monster. We need to follow the steps around Quavermusic.com to discover our inner beat and rhythm and feed him some rhythms before the beat monster gets hungry! Instrument in the shop– There are lots of instruments sitting around in the shop, how many can you find that will give you a beat that is steady? write one guess on the board before continuing. Metro– Head to your favorite spot on the metro and listen to the music..can you find the beat in the song that is playing? 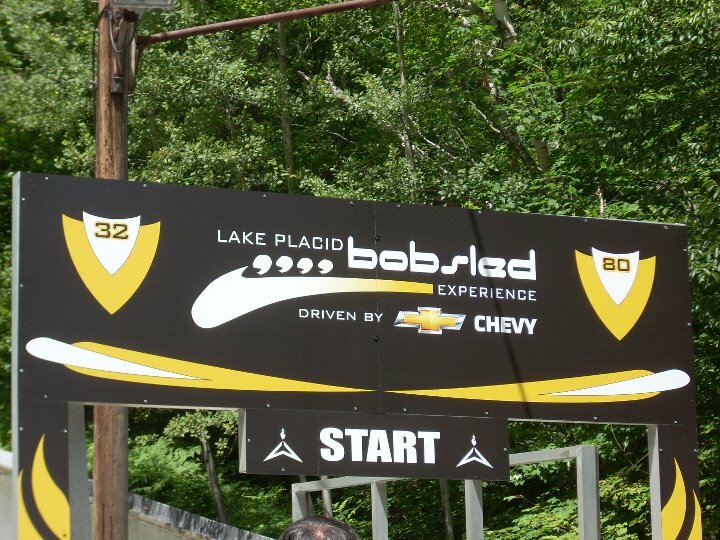 Clap your hands to try to fin it! QBackbeat– Now go to your last stop in the studio and click on the drum set! Gimme a killer beat, take your time, do your best, do not just fill in everything that is there! Pick and choose. Time for an adventure on the Quavermusic metro! You all have full day passes to explore the world of Quaver and discover all of the music at each stop. Learn about at least two of your favorite stops and find your musical style! Metro– Head on the metro to at least two spots that look interesting to you. Listen to what Mr. Quaver has to say and listen to the music. Click on menu and find out where you are on the map before heading back to the station! Quaver Diploma– Pick one stop and try for a diploma at that stop by clicking on menu and book. Read about the music of that stop and answer the questions. If you get the diploma write your name on the board with the name of the stop to let your class know you got it! 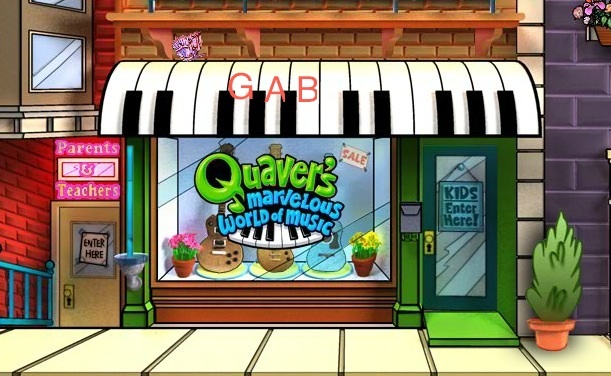 Pick an instrument that would be most common in the music and write a short song about it– Head back to Quaver headquarters and hop into the studio. Pick an instrument in there that would be found a lot in the music you listened to on the metro and create a 3 measure song on that instrument. Listen to it and think, could I hear this in the music I’ve been listening to? Oh No!!! Bernard the Turtle (one of our musical friends in my classroom) built a time machine to travel back and meet his favorite composers. He said he would be back by now but he is not! Can you follow the steps around Quavermusic so we can find him? Phone box – In the shop you will find our time machine the phone box! Jump inside and visit a composer that is listed. Learn about that composer by listening and read about him in the book, write a fact about them on the board!. Play the puzzle before you leave! Slide puzzles– There are composer slide puzzles hidden in the shop! Can you find one and complete it? Carnival– Beethoven lost his hearing at an early age. Head to the ear carnival by going into the lab and clicking on the organ. Really use your ears as you play the games at the carnival. 1..2..3! 3 notes together is a chord to me! What else do you know about chords? Can you build one yourself? Can you build happy or sad chords? Follow the steps on Quavermusic.com to become a chord architect! Find instruments in shop that have chords– There are many instruments that decorate the shop. How many can play those 3 notes at the same time? Write at least one guess on the board! Carnival Chords– Head to the ear carnival by going to the lab and clicking the organ. Play the chord carnival game. Listen to all 3 notes the guys in the dunktank and choose the right ball. If the chord sounds happy then it must be major, sad is minor, BIG is augmented and if it sounds small it must be diminished! QComposer– Now it’s your turn you chord architect. Head to the studio and click on the piano. Build me 4 F chords, 4 C chords, and 4 G chords using quarter notes only on the top line! Play your chords after to listen to your amazing work! 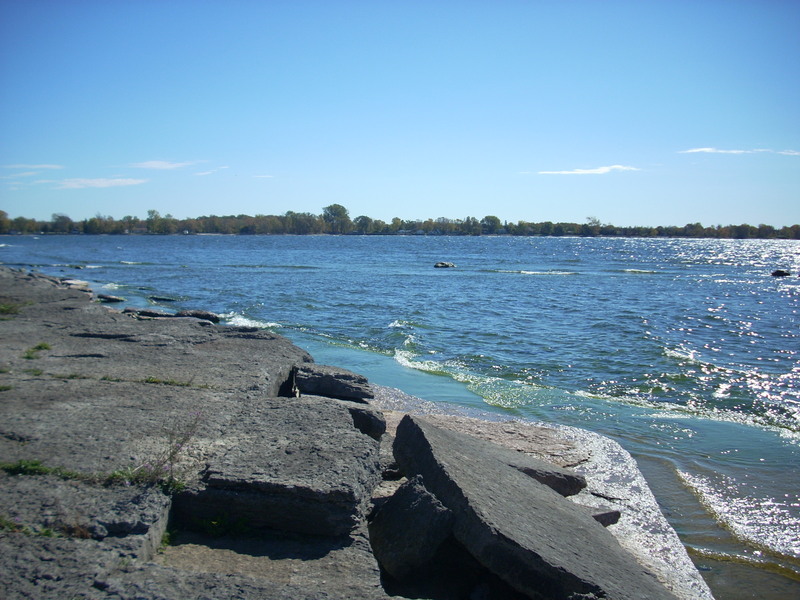 I’ve got a week left and I’ll I think about is the beach, boating, swimming, gardening, and especially the open road. During the composition of this I’m getting ready to go see Dave Matthews in New York! Even though summer is a time of rest it is still a time to learn. I have a lot on my to do list, looking at grad schools, redoing my website, and coming up with new ideas for next year. 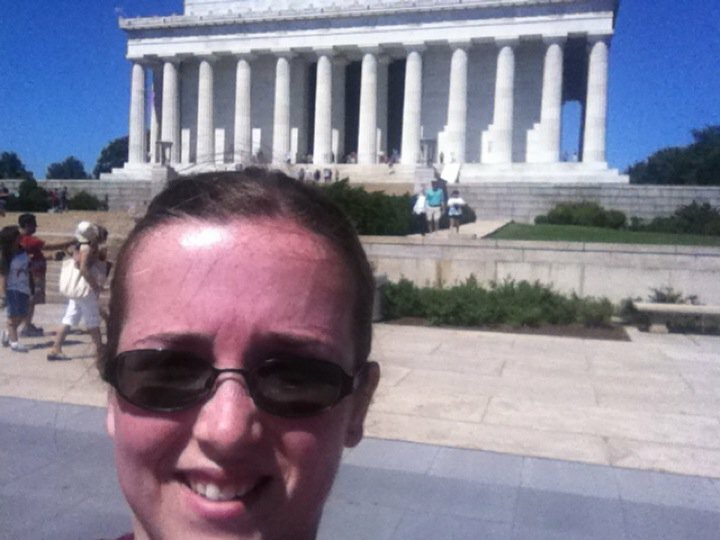 I’m a resource fiend during summer, I love to create new tools for my classroom, collect new music ideas, new lessons and activities, and new ways to look at the way I run my classroom. I like to stay motivated and excited about the upcoming year, and unlike most students, retain what I learned the previous year and make it better. So what am I going to do? I’m going to open up my blog to guest posters. Send me a short post on your most successful favorite elementary music resource and let me know whether it is instrumental/vocal/or general, how you use it and where others can learn more about it. It can be a piece of music, a book, a website, anything that is related to elementary music (Let’s say anywhere grades PreK-6). I’ll post it in a weekly series with a few other submissions put together in a little newsletter format, and if I get a good response I will compile all the submissions and post the amazing resource all over the web to share with all. Keep it between 50-350 words, short and sweet and send me more than one! The more submissions the better! *crosses fingers* let’s see if this idea works.